our first date stories have one thing in common: we acted like men. We pursued our wives to be. We made the move. We initiated. We took a risk. We took the lead. If you want to change a marriage, change the man. God has given the man the ability to be the best thing or the worst thing that ever happened to a marriage. A man needs a mission. Men were created to carry out a mission, and if a man does not have a mission, he feels lost and impotent. God have the first man, and God gives us men, a mission that can be completed only through dependence. Jesus doesn’t make men better. He makes men new. The most rebellious, countercultural thing you can do in our culture is to be happily married until death do you part. Vows aren’t automatic. Vows aren’t magic. Vows don’t keep themselves. The point of your marriage isn’t you. The point of your marriage isn’t your wife. The point of your marriage is to date your wife in such a way that showcases Jesus and His power to a world of husbands and wives, men and women, boys and girls, in desparate need of a God who can rescue, reconcile, restore, and redeem their broken lives. Marriage isn’t ultimate. God is ultimate. Pray for your wife. Pray for her every day. Tell you wife that she looks beautiful, and teach your kids to do the same. 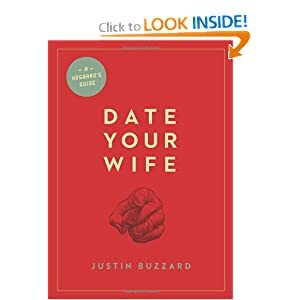 Criticize your wife less. Compliment your wife more. Watch the kids and send your wife out to a local coffee shop to enjoy an hour or two alone. Brag about your wife in front of other people. Keep fresh dry erase markers in the bathroom. Periodically write your wife an encouraging note on the bathroom mirror that she’ll read when she wakes up. Write in a card the top five reasons you chose your wife as your bride. Also, check out the author’s blog here. I’m excited about the movie Courageous, coming out Sept 30th. Wish it were coming out this weekend. It’s going to highlight men’s issues and challenge dad’s. Check out the official music video below. The movie trailer is at the end of the clip. Or find it here. Also, check out the Courageous Song lyrics below the video. 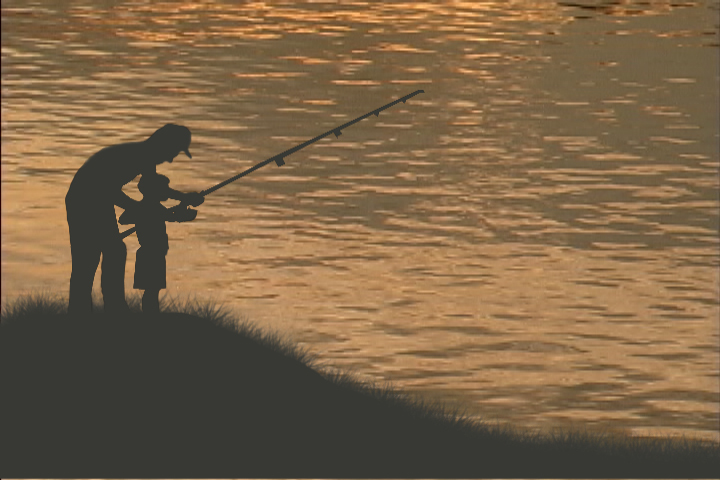 Raising a Modern Day Knight by Robert Lewis is still one of the best books about raising boys. Easy to read and lots in there to excite the heart of a man. Anything by Steve Farrar. My favorites are King Me, mainly for Fathering Boys, and Anchor Man. Don’t forget that men love war, hero stories, and history so my recent favorite is Lone Survivor by Marcus Luttrell – a true Navy Seal story from the war in Afghanistan. Also, Band of Brothers and The Pacific books or mini-series would be a great gift. For fun I love the Worst Case Scenario book series and I’ve got a few materials list from the book Handy Dad for projects to do with my boys. For the Church Leader Dad, see this list. For the non-reader think gift card to Academy, Bass Pro, or Outback. Children in Father-absent home are 5 times more likely to live in poverty, 15 times more likely to have behavior disorders, 5 times more likely to commit suicide, 3 times more likely to have asthma, 7 times more likely to be teen mothers, 7 times more likely to drop out of school, 15 times more likely to end up in prison as a teenager. Today, 24 million children live in a home without a father present. These stats and much more can be found at http://www.fatherhood.org/ and http://lifecoachesla.org/. Father absence affects our society. What can we do? 1. Invest in these kids. Get involved with a local church, ministry, or agency that works to mentor kids. Talk to local school officials, police departments, etc. about who in their sphere of influence are at risk. One ministry in our area partners community leaders with at risk kids. Check out Life Coaches for Kids and get involved. 2. Connect w/Fathers. Our church recently launched a ministry in our local jail called Malachi Dads. It equips inmate dads to connect and engage with their children while incarcerated and prepares them to be an engaged, Godly father when they get out. Let me know if you’d like to get involved with this ministry as a leader, encourager, or prayer partner. 3. If You’re a Dad, Get Engaged in the life of your kids. They need you. They have needs deep in their hearts and minds that only you can meet. The real Christian responds to God’s word with obedience. He’s revealed Himself in Christ who is willing to transform our lives. The transformed one responds to God with obedience. If a man isn’t a leader anywhere else in his life, he must be a leader at home. That’s an order that comes straight from the Lord. All believers are called to be salt and light, yet a society without strong male leadership is doomed. I’m not talking about strong male leadership at the capitol building, as important as that may be. Without male leadership in the family, we are one generation away from anarchy in the streets. Much of the turmoil and violence plaguing our society directly results from the absence of a strong male presence in the home.